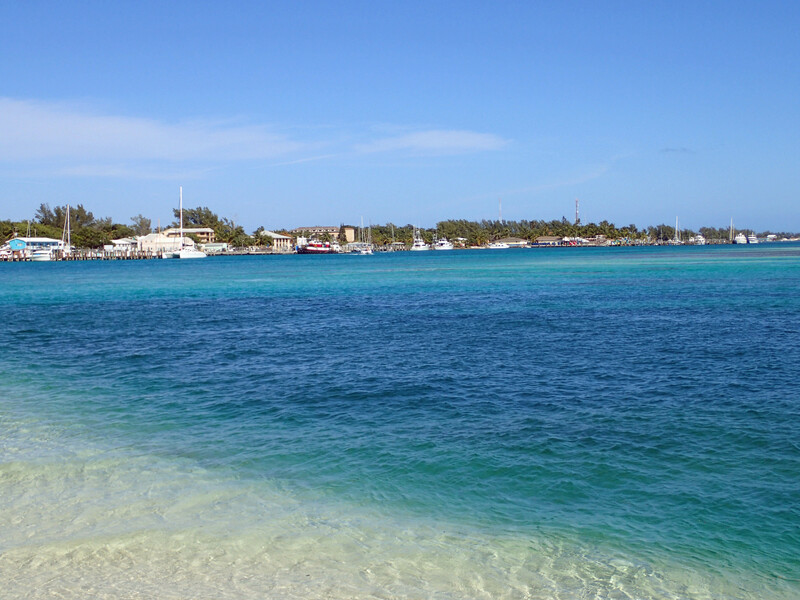 We had a very nice stay in Bimini. I love Bimini’s water. It has so many colors…indigo blue, royal blue, periwinkle blue, turquoise, aqua, and green. My favorite is the periwinkle blue that you see midway coming into the harbor. It is spectacular! 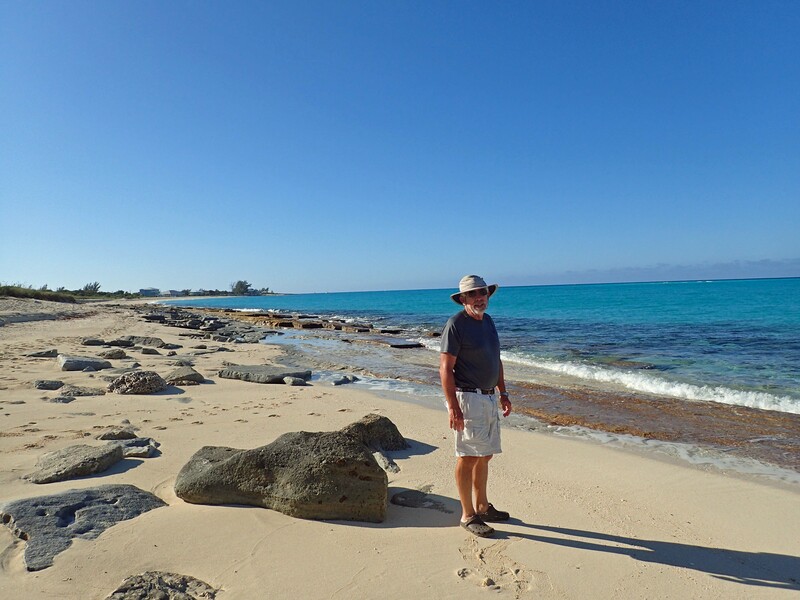 We are staying in Bimini at Bimini Sands with SEAS THE DAY/Mark and Jan. When coming into the Bahamas you have to check in, fill out the paperwork and pay a $300 cruising permit fee. If you have a animal with you, you have more hoops to jump through. We both had issues with our Bahamas cell phones, as usual. We went to the Batelco office and with lots of patience got our issues resolved. Unfortunately we had to get a new sim card for the main phone which means a different phone number but we can handle that. It’s the islands mon! At the tip of South Bimini they have a very nice restaurant and beach bar. 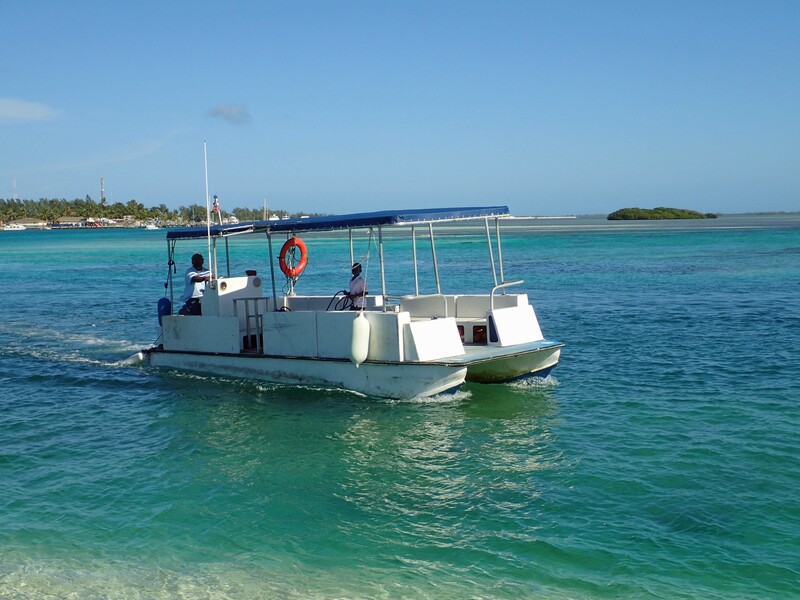 The shuttle bus takes you there and brings you back to the dock. 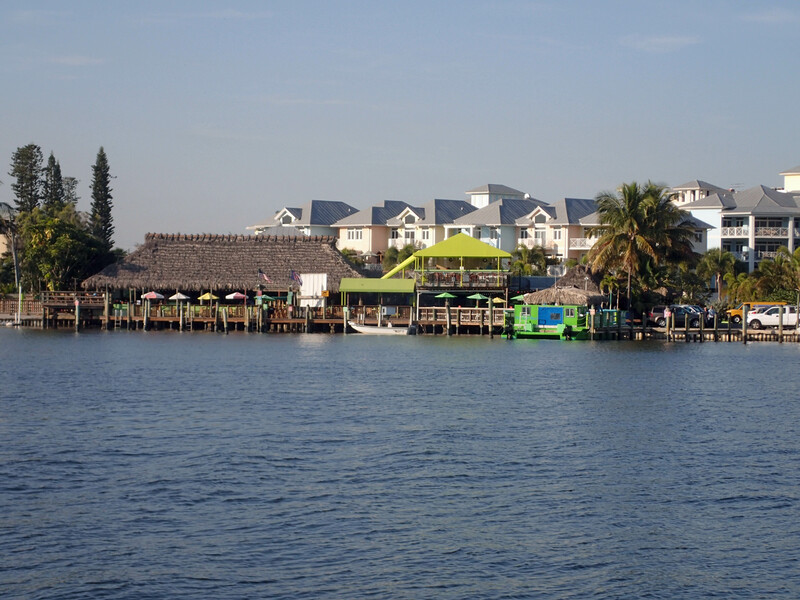 The beach bar is great for casual food and the main restaurant is very good and even has a sushi bar. We left Bimini at 5:30 am and got into Chub at 6:30 pm. It was very calm on the banks. 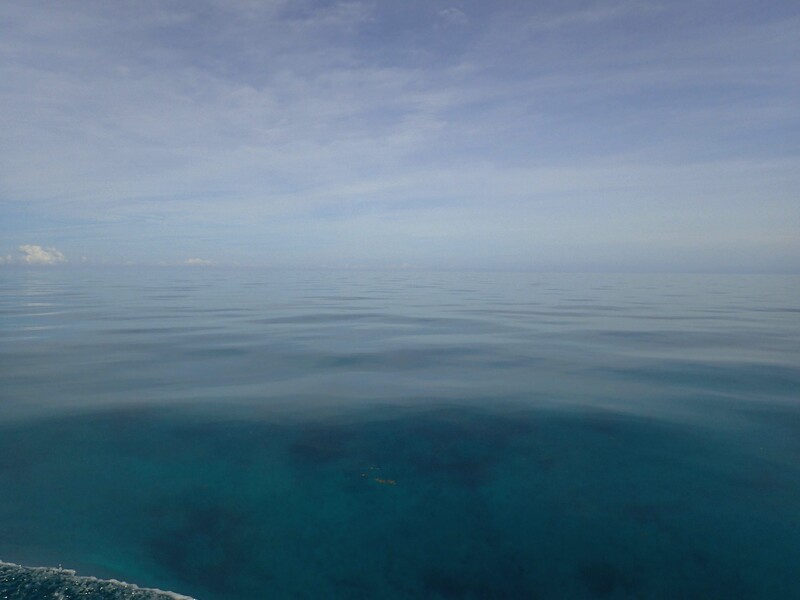 It was one of those days that at times you can’t see a difference between the water and the sky. It’s very beautiful. 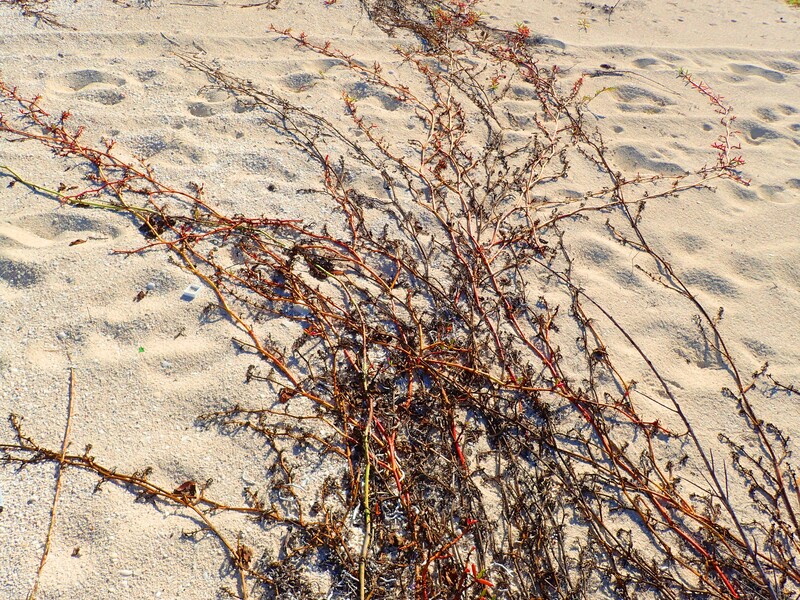 My all-time favorite thing I look forward to when we get on the Bahama Banks is seeing my first starfish. That’s when I know I have made it to the islands. We also had dolphin around the boat for a few minutes which is unusual on the banks. It’s always a treat to see them and watch them play! 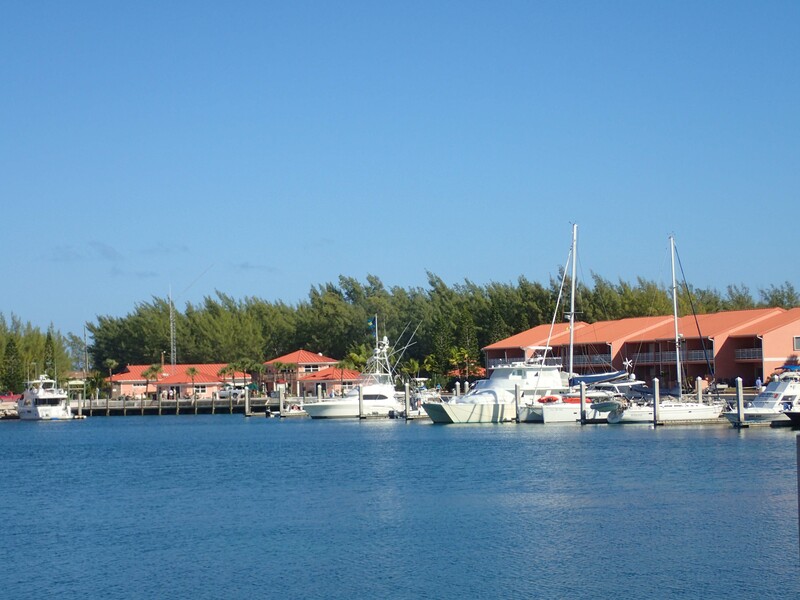 Chub Cay has been in receivership for quite a while. This year it looks like they have fixed the club house and made some major repairs. I hope they find someone who will take care of the island. It is very beautiful and with some capital they could make it very special. They have beautiful little houses on the island and it is next to some of the best fishing grounds in the world. When you come off the banks which are about 13 feet, you drop off to about 3,000 feet almost instantly. This drop off is great for fishing. You see some amazing fishing boats prowling this area. Three are not many cruising boats with us this year. 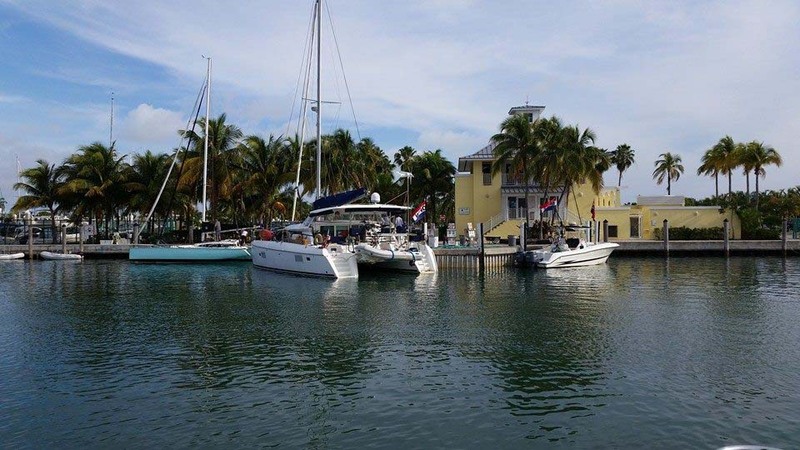 At the Chub Cay anchorage there was only one power cat and our boats. I guess we must be between the two groups…those who come over before the holidays and the group that will come over after New Year’s Day. 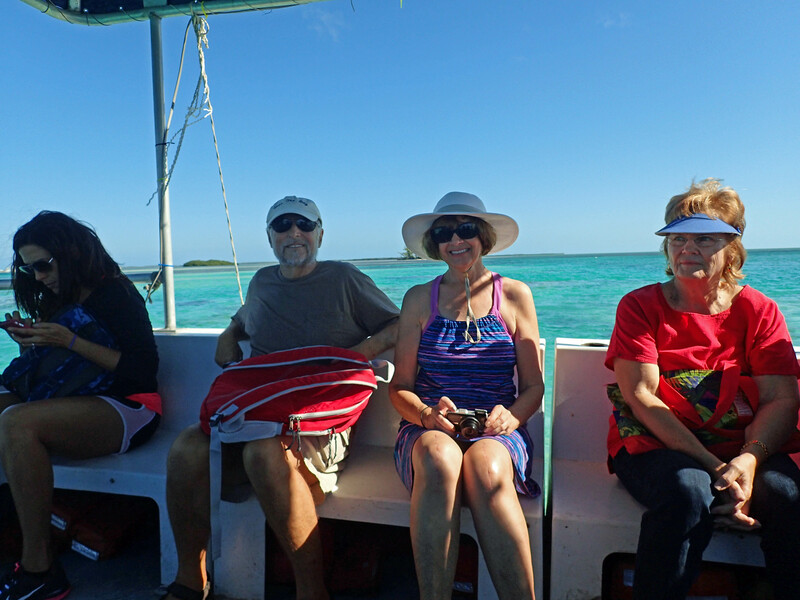 So glad to have Jan and Mark cruising with us! 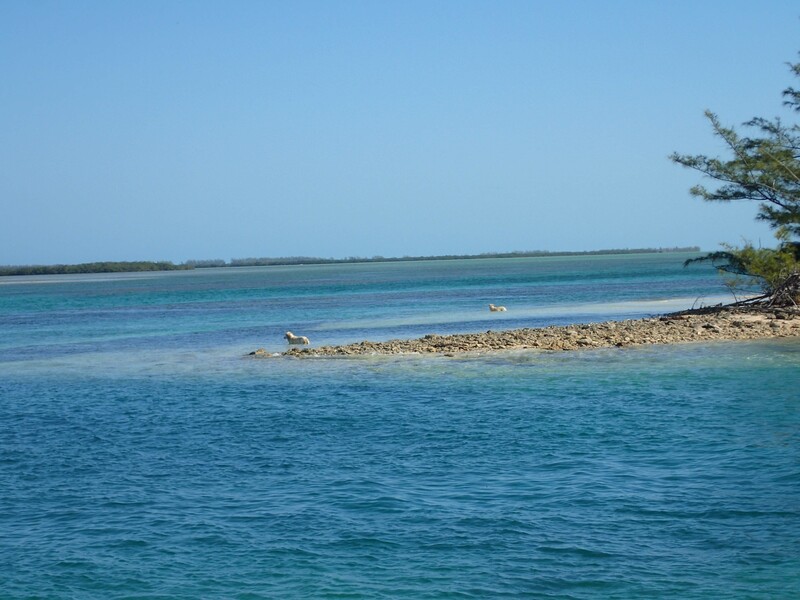 Here are a few pictures of our travels from Bimini to Chub. Hope you enjoy them. SEAS THE DAY on the banks. What is water and what is sky? So clear you can see the bottom! Hope all is well with you and yours. Thanks for stopping by! Cathie on s/v INTERLUDE. OUT. We made it! 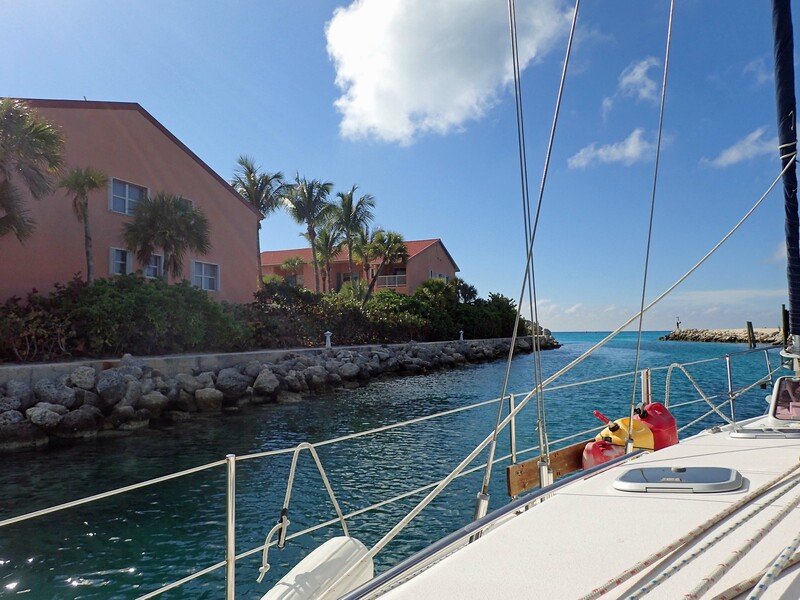 Had a wonderful crossing and we are now in Bimini Sands Marina, South Bimini! 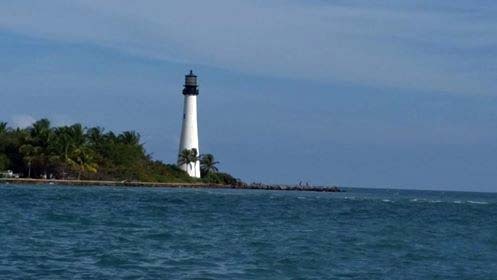 We were planning to leave on Tuesday but the weather was so nice we hurried to Crandon Park and got water and fuel and left Miami around 11 am and arrived in Bimini around 7 pm. Leaving Key Biscayne. Heading to Bimini! 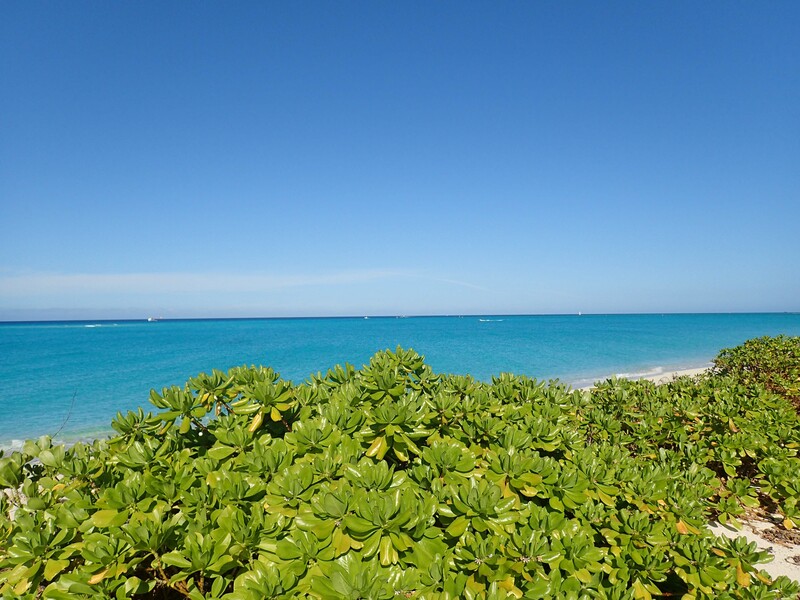 We love coming to Bimini! 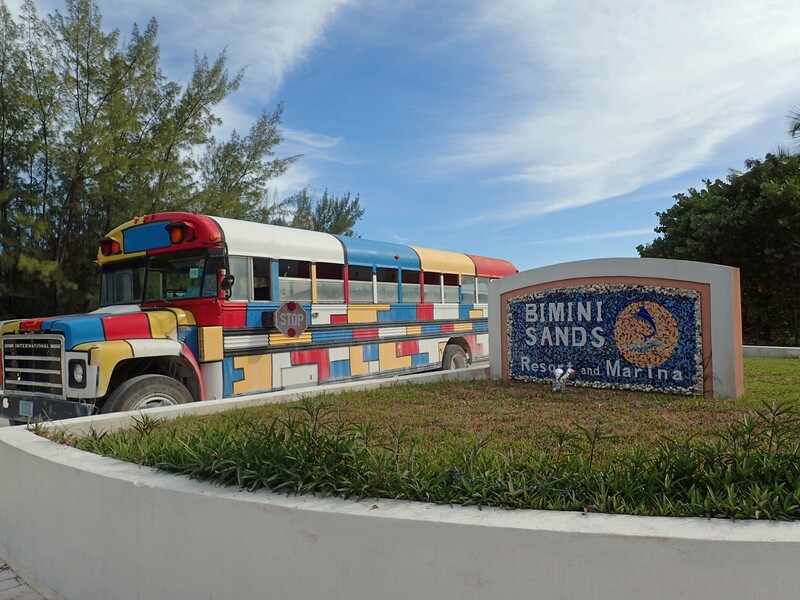 Shuttle bus at Bimini Sands. Quite colorful! English Golden Retrievers fishing in South Bimini. Tom walking the beach. He found his first sea bean of the year! He is so lucky! Hope all is well with you and yours! Thanks for stopping by! We caught up with buds Jan and Mark and puppy Sailor/SEAS THE DAY in South Beach Miami. We had a good time exploring the area. 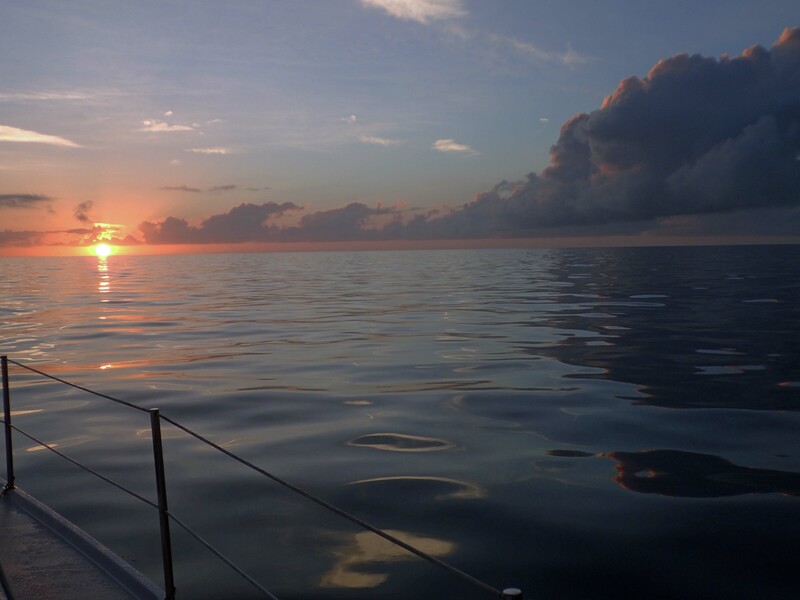 Now we are getting ready to prepare for crossing the gulf stream to Bimini. The gulf stream is our biggest logistics problem. You can’t leave if the east wind is too strong or if there is a north wind because the gulf stream will stack up big waves and make it dangerous to cross. The weather for Christmas was very rainy and overcast. We had an nearly dinner with Mark and Jan. Most of it thanks to Fresh Market! It was very nice to share Christmas with good friends. It makes being away so much easier. To my family and friends, I wish we could all be together. I miss you all! I hope you had a wonderful Christmas! I love you! 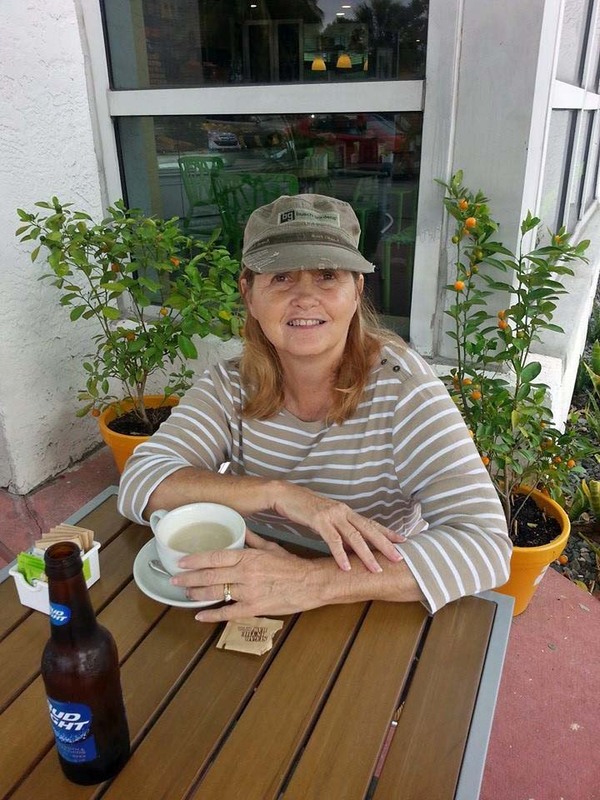 Cathie in South Beach Miami with her Chai Tea Latte! 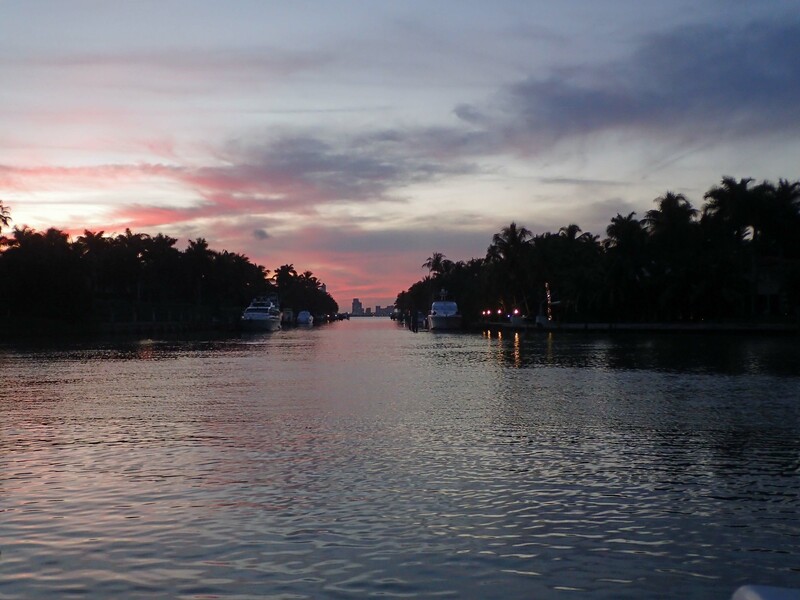 South Beach Sunset Lake Anchorage – Our home for Christmas! 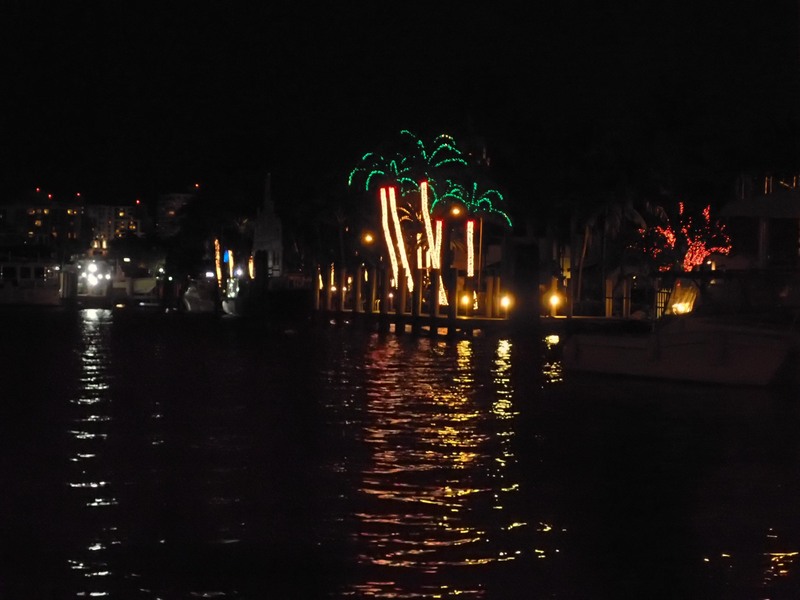 Lights from the Las Olas Bridge. Fun watching all the big boats with their Christmas decorations playing their Christmas music. It’s like our own boat parade! 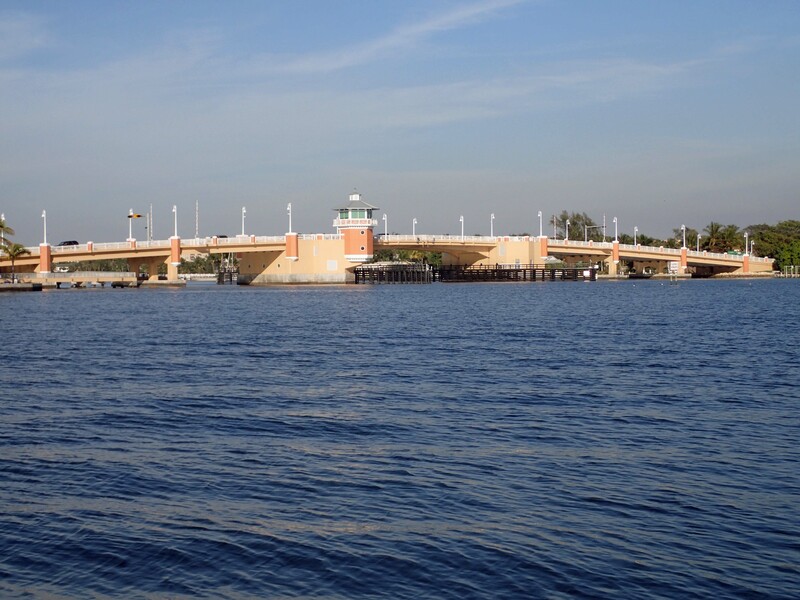 When you go to Fort Lauderdale along the ICW, you need to go through many opening bridges that are timed. It is always questionable if we will make it on time since we go so slow and if the tide is against us it makes it a challenge! We normally anchor in Lake Silvia. It is a very popular anchorage and was full. There are not many places to anchor in Fort Lauderdale. 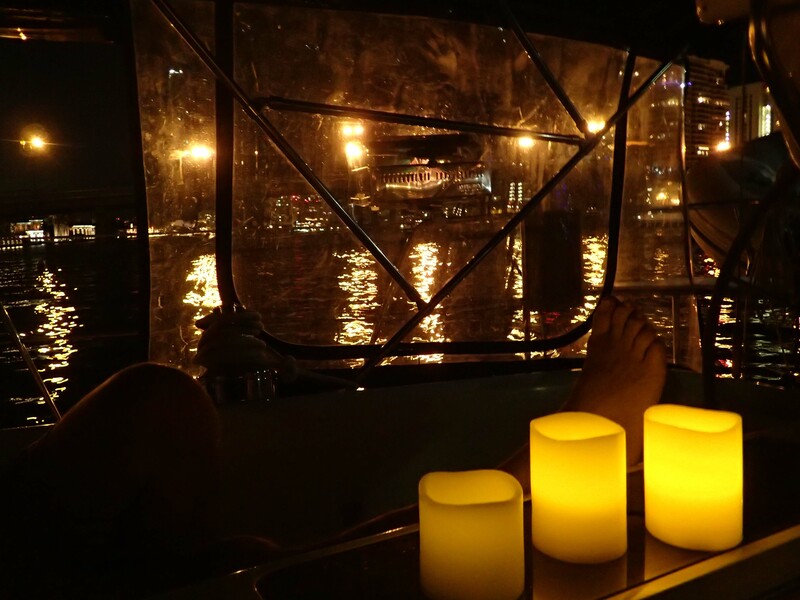 Luckily for us, Las Olas Marina had mooring balls available at a pricey $42.50. The mooring balls are not convenient to the grocery stores and West Marine. We can dinghy to the Southport Raw Bar and pay $10 for a dinghy fee. They are close to everything we need. The raw bar lets you use the $10 fee against food and beverage. Needless to say, you have to have a snack after shopping! Had a fun time but we need to move on to Miami and start looking for a weather window to cross the gulf stream to Bimini. 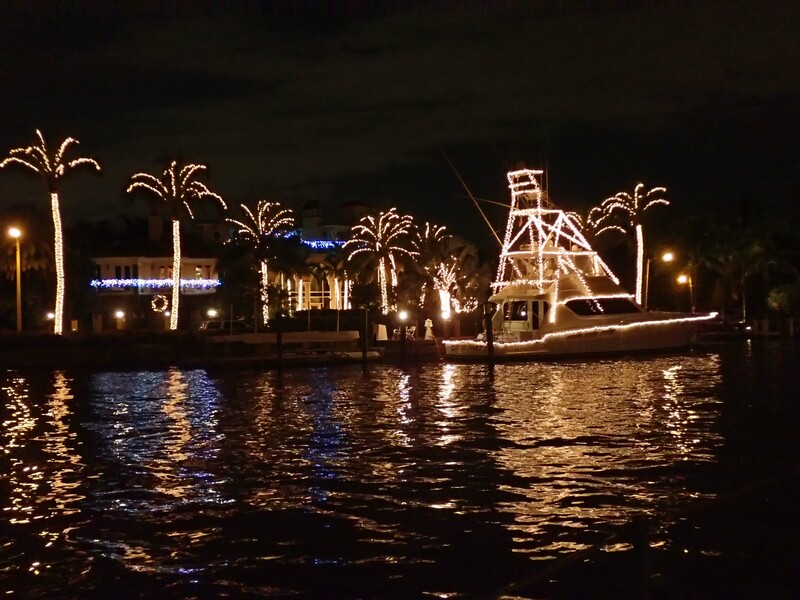 Below is a few photos of the Christmas lights in our anchorage. Hope you enjoy them! Christmas lights in the anchorage. Makes it feel very festive! More Christmas lights in the anchorage. Strange to see palm trees as the Christmas Tree of choice. Very pretty! Had a cold but easy day along the ICW. 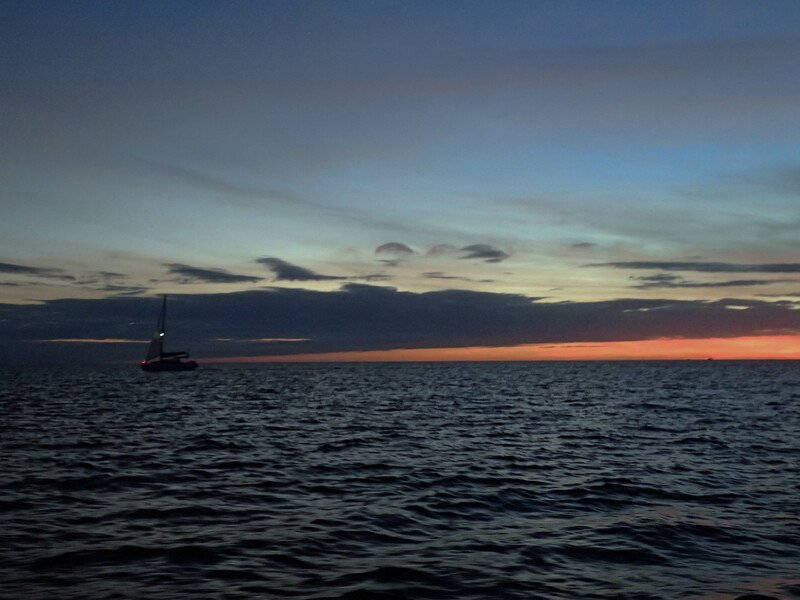 We anchored out in Hobe Sound. Very peaceful. It feels like it is warming up! 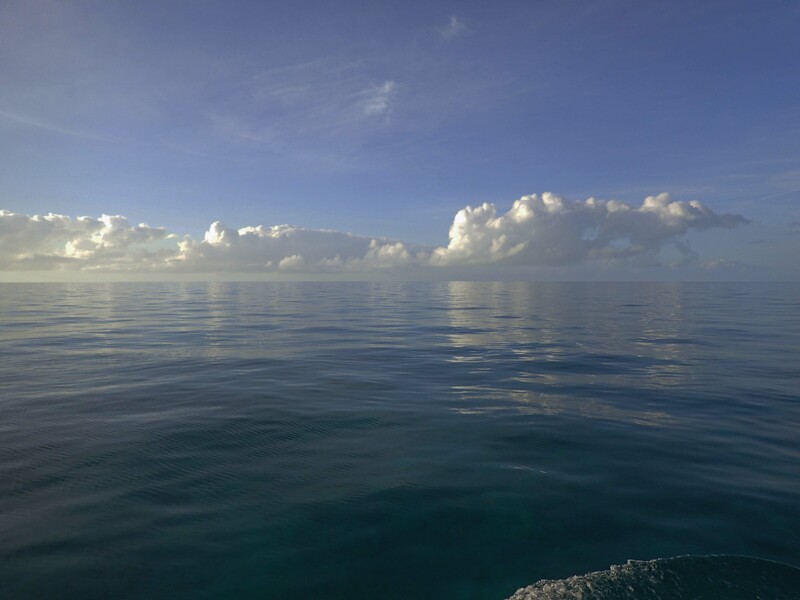 12/18/14 – Day 10 – 76/58 – NNW5 – sunny and dry. It was nice getting up and the floor isn’t cold! Tom started out in shorts. Yay! He is very happy. The sun is out and feels more like being in Florida. Today was bridge day on the ICW. We have many opening bridges to wait for. In Palm Beach and near Lantana the bridges instead of opening every half hour were opening every hour because of construction. Time to kick back. We are going over to the beach bar for dinner. Lantana’s Old Key Lime House near our boat. At least we will start tomorrow on the south side of the Lantana bridge. We won’t have to wait for a bridge opening! On our way to Fort Lauderdale! 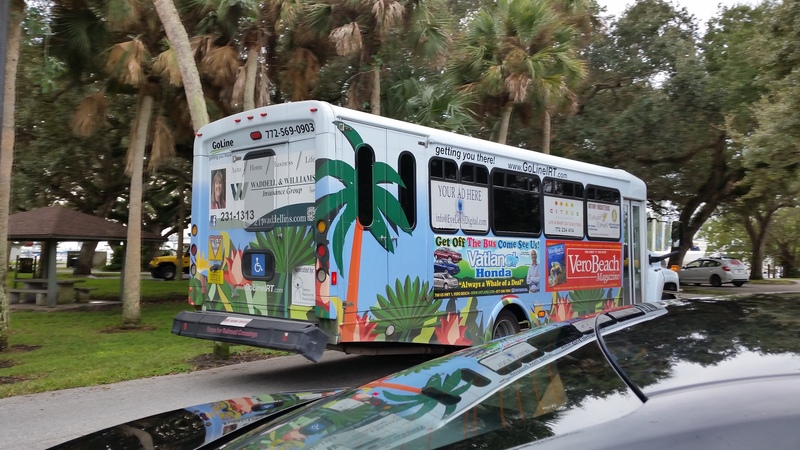 Vero Beach Free Shuttle Bus – All Aboard! 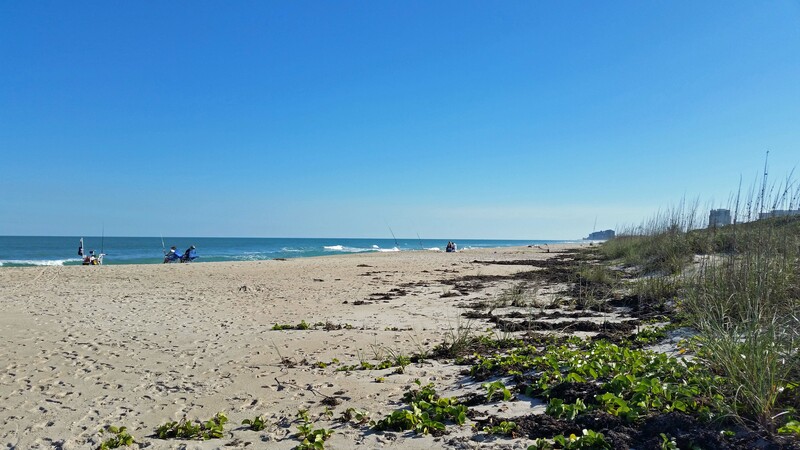 12/16/14 Days 4 through 8 – Vero Beach, FL – Weather was mostly cool and cold at night. Need to head further south! We had a great time in Vero! Certainly got lots of projects completed. 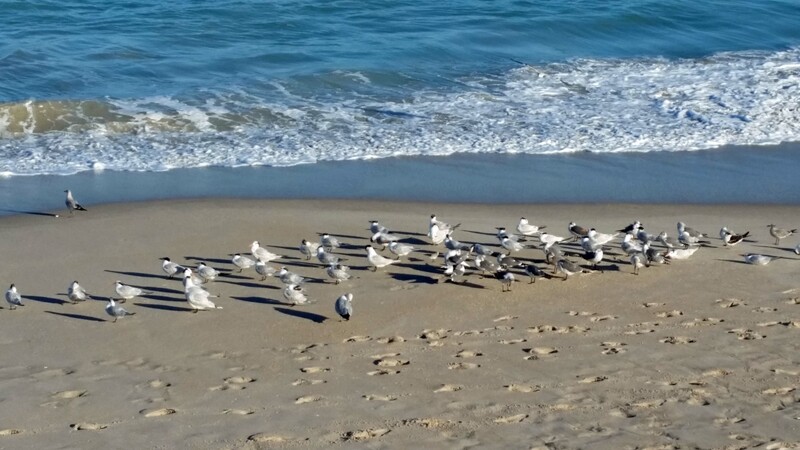 Love watch the birds on Vero Beach. You need to watch out. They swoop down and steal whatever you are eating. Very smart! Christmas decorations in Vero. 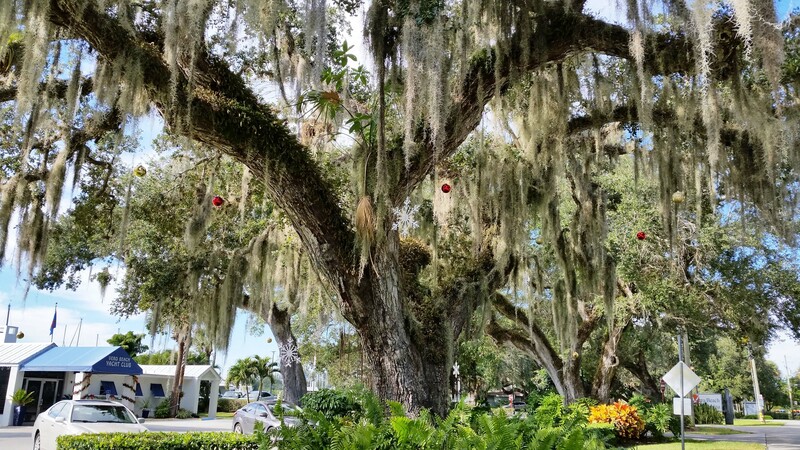 They hang ornaments from the Spanish moss. Always fun to catch up with friends. We had a chance to have dinner with Linda and Hutch/SANDCASTLE. They are enjoying their new Vero home but still miss being on their boat. Lots of new stories and adventures to share. We drove back to Satellite Beach to catch up with Fred and Kathy/MAKAI for dinner. I made it to Double’s after all! Grant and Donna/MOXLEY the sailboat now going to be PRIMA DONNA the powerboat and Greg and Daisy (Donna’s sister and brother-in-law) were fun at lunch at Panera Bread. They are always on the go with new destinations in mind. 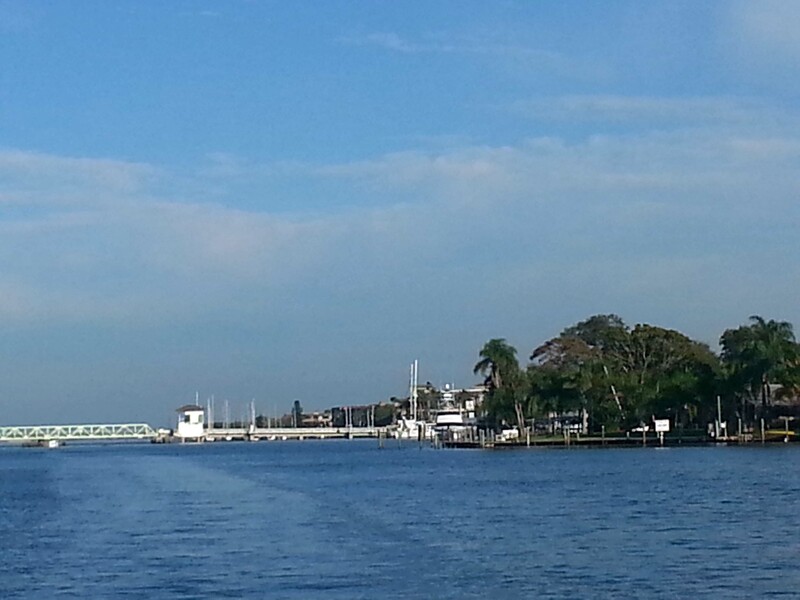 We are now on our way from Vero to Hobe Sound, then Lantana and on to Fort Lauderdale. Hope all is well with you and yours! Keep in touch! Cathie on s/v INTERLUDE. Out! Today we will be in Vero Beach. 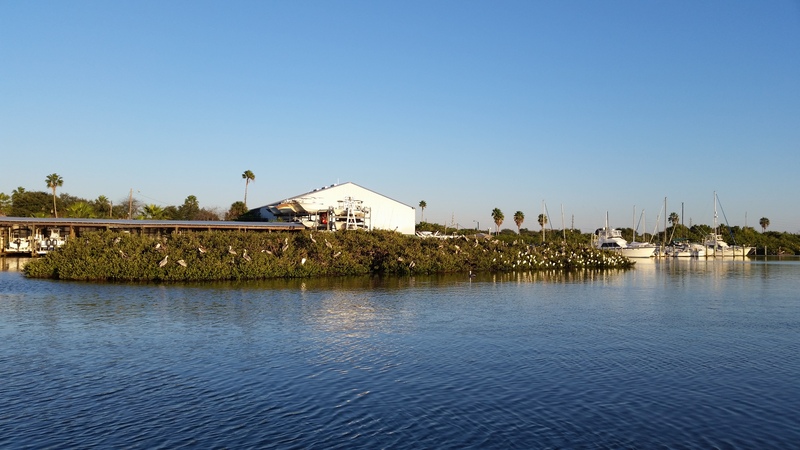 Day One -12/9/14 St. Augustine to New Symrna City Marina – 60/44 – 67 mi – NW 15 – 7:30 am/4:30 pm – Marina $1.25 foot. 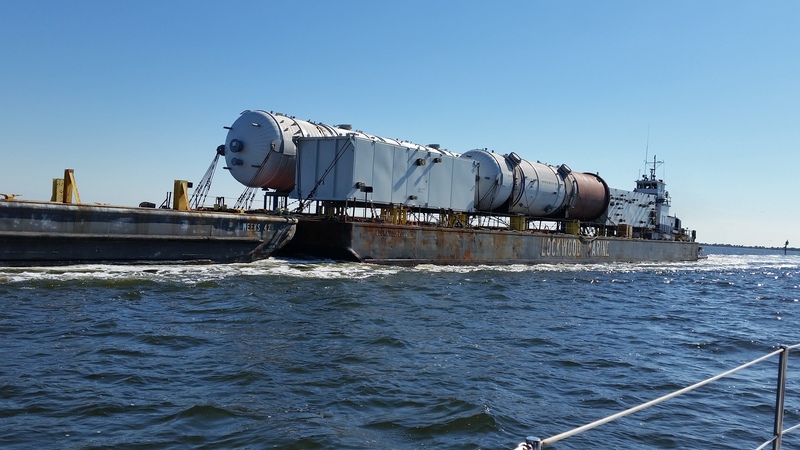 It’s nice to be underway again! We have a few long days but when we get to Vero Beach we will stop for a few days and regroup. We like New Symrna City Marina. It is neat and clean and Pam the dockmaster is very nice. There are shops and restaurants along canal street that are walking distance. We enjoy eating at Jason’s Corner but found the prices are now more expensive than previously. We enjoy anchoring at Dragon Point. We go through Mathers Bridge and anchor on the other side of the bridge. We usually go to a great little restaurant called Doubles. The food is great and the prices are very reasonable. Last night we were so tired that we ate in, watched some TV and went to bed. Yesterday I received very bad news that my young nephew Brian Cady passed away suddenly. Brian was always smiling and loved to be with family. He was a very kind and gentle soul. We had so many wonderful summer and Christmas vacations together. My late husband Woody and Brian’s father Frank were brothers. Brian and Woody formed the Little Brothers’ Club. The Little Brothers always had a special time competing together against Frank and Kevin. Of course, it was even better winning the fishing contest every summer! Brian I love you and I am going to miss you. It gives me comfort knowing your Dad and Woody are there to give you big hugs. Don’t let them get you into too much mischief! 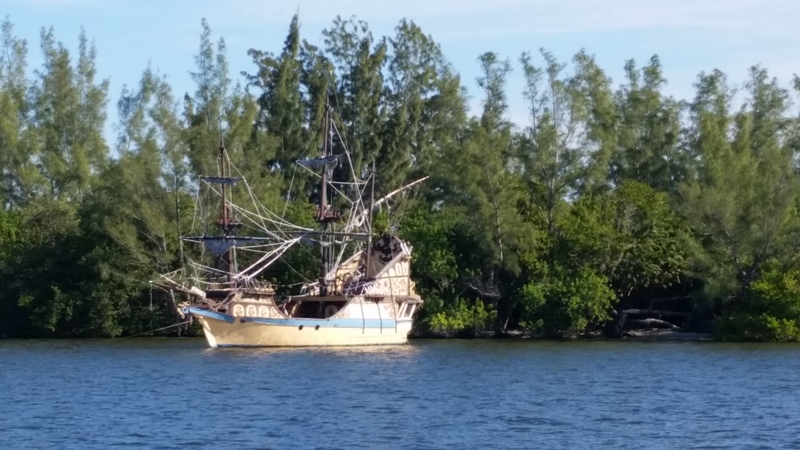 Day 3 – 12/11/14 Satellite Beach to Vero Beach – 63/47 – 42 mi – W 7/10 – 8:45 am/ 2pm – Mooring Ball $11.00 a day. We need fuel, water and a pump out. Also need to pick up mail, etc. Vero has a free shuttle bus that goes to the beach, parks, shopping, etc. They also have showers, laundry and a captain’s lounge. It’s always a fun place to stop. 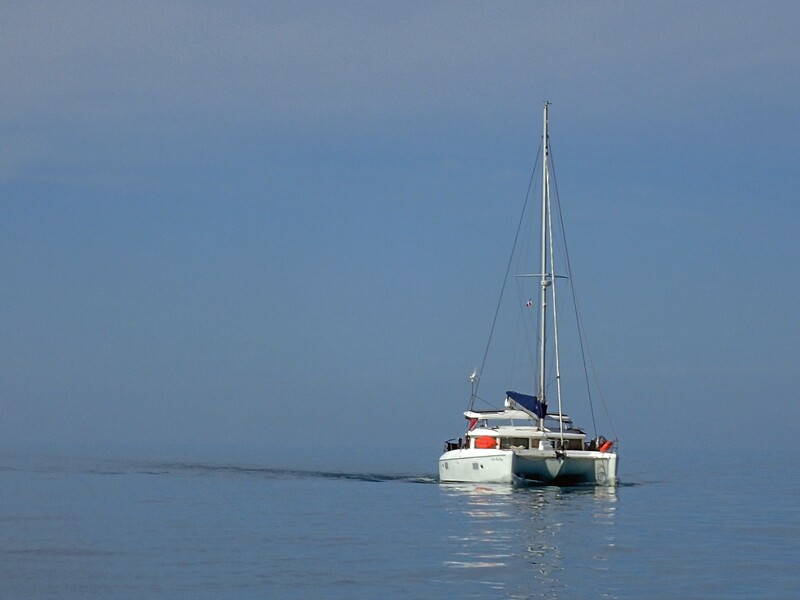 During this time of the year with so many cruisers it’s not unusual to be rafted up two or three on a mooring ball. At first I thought that would be uncomfortable but found out that most times everyone is very nice and you make new friends. Last year we moored with Bert and Pru on Exuberant who we have known for many years. We had a great time! We both thought we would be there for about 5 days. We ended up staying 13! We are looking forward to catching up with boating friends who now live in Vero. It’s always fun especially during the holiday season! It is sunny this morning and feels much more like Florida!